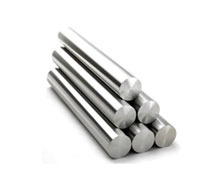 As a Stockists & Supplier of Stainless Steel & Metal Products, Skytech Rolling Mill offers an exotic and wide range of Stainless Steel products such as Stainless Steel Bars & Rods, Stainless Steel Angles, Stainless Steel Flat Bars, Stainless Steel Flanges, and Stainless Steel Patta Patti, along with their respective different grades in stock. We service industries across the world requiring these high temperatures, heat resistant and or corrosion resistant alloys. Skytech looks forward to offer you with your specialty metal needs! Call us or send us your request quote today.